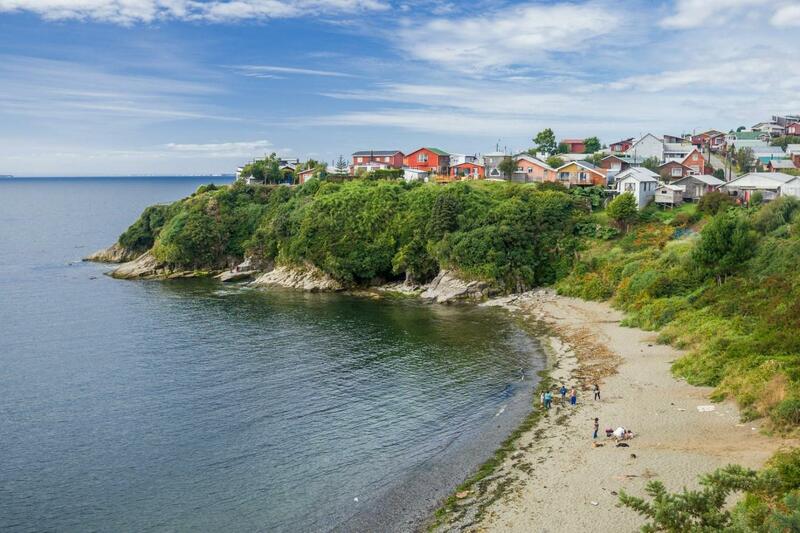 Relax in Chiloé most famous beaches & enjoy its breathtaking views! Visit San Antonio Fort built by the Spaniards at the beginning of the 19th century, including beautiful views of the port. Discover the enchanting island of Chiloé, with its marvelous bays and long sandy beaches. Our starting point will be Pargua, from where we will catch a ferry to cross the Chacao Channel, which separates the mainland from the island of Chiloe. During our boat trip we can observe sea lions, pelicans and seabirds typical of this region. Our first stop will be Chacao, small town where we can admire its typical larch wood buildings and also its churches, which have been declared UNESCO world heritage. Later on, we will visit Caulín, a beach resort famous for its oysters and its rich marine life. We continue our tour to Ancud, where we will get to know the Fort of San Antonio, its local Museum, Plaza de Armas and the Municipal Market, which offers a variety of dining options. Finally, we will go to the Lacuy Peninsula, which consist in a large number of small bays with stunning beaches such as Lechagua, Mar Brava and Quetalmahue. Here you can have a breathtaking view of the island and is a famous spot for UFO sightings, reason why there are many stories around this magical island.